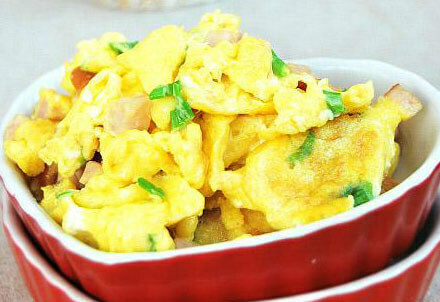 You can cook scrambled egg with different ingredients to get a wide variety of tastes. Chives, basil, ham, sausage, bacon and onion can be added to give the eggs a unique flavor. It is tasty and healthy. -Make sure you use enough oil and cook the eggs over high heat for a better fragrance. -For a more delicious texture, add some water or fresh milk to the egg mixture. 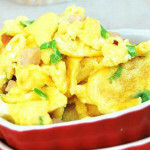 -Besides scallion, you can also add chives,basil, ham, sausages, bacon, shrimps or onions. Good Chinese grocery store in the suburbs. Things are much more expensive than Chinatown but the convenience and selections made it work. Good produce and fish section. Nice bakery and decent hot food. The Chinese barbecue meats are good, although the server there can be standoffish sometimes. If you enjoy eating & cooking Asian food this is the market to shop at. They have a great fresh bakery, butcher & fish department. The fruits & veggies are fresh & not overpriced. My wife is Asian so we shop here all the time. Definitely worth trying for a reasonably priced home made dinner. They also have an area of cooked Asian food that you can take out if you're feeling lazy or your single & not into cooking.